Wow! This is how it looked like the last time I drew for Lillet. Not bad, right? I love the film they have made about it: watch it and find me! "The theme of the evening was: French aperitif culture at the "Les Ateliers Lillet". What could be nicer on warm summer evenings than to end the day in a rooftop bar high above the rooftops? The "Skyloft" turned into an exclusive event location around Lillet. 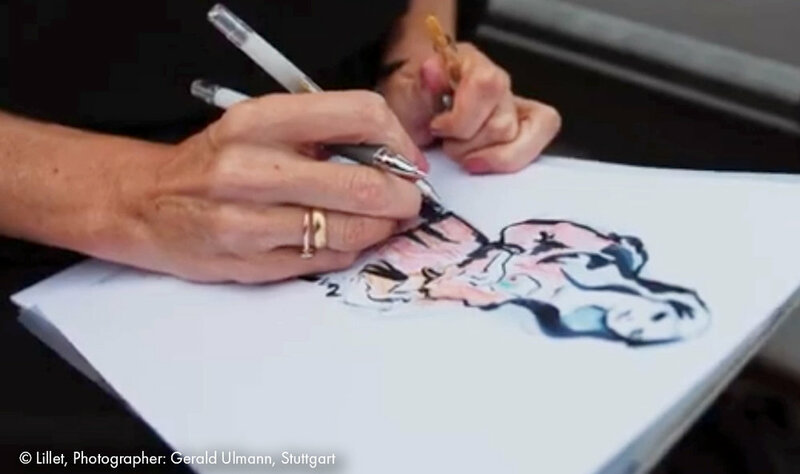 During the 3-day event "Les Ateliers Lillet" brought French flair directly to Stuttgart (and I was there drawing their guests). 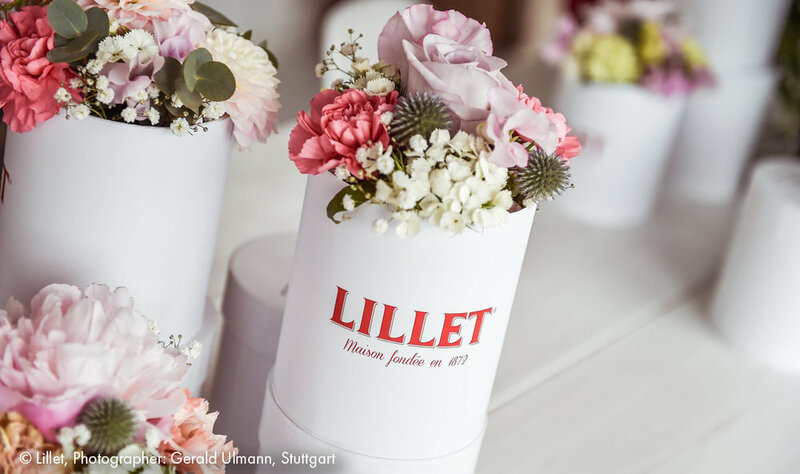 Welcome were all Lillet and France lovers, who enjoyed Lillet over 3 days in all its facets very closely: In addition to French specialities and delicious Lillet drinks, guests were treated to numerous activities and unforgettable moments. Among other things, professional photographer Stefanos Notopoulus arranged a professional photo shooting. 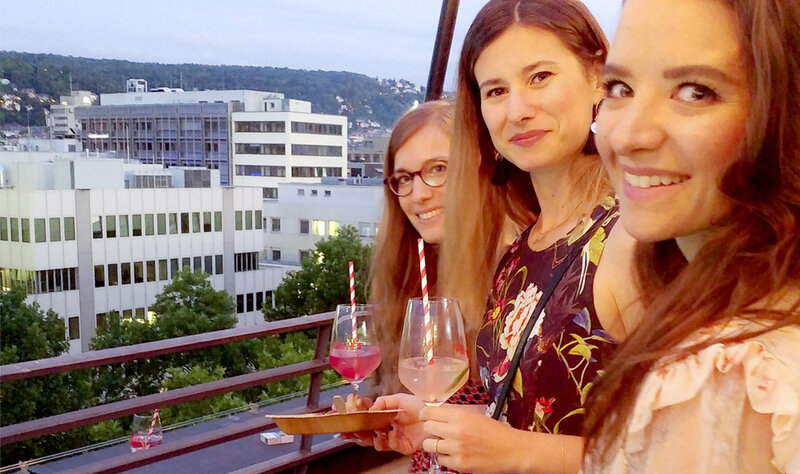 And if you were looking for inspiration for your own Lillet creations, you could participate in a cocktail workshop with Brand Ambassador Tatjana Friederich. A French brunch on Saturday, small exhibitions and further workshops on flower arrangements and natural cosmetics rounded off the extravagant programme on all days of the event." Their lovely guests were waiting patiently for, literally, hours to be drawn and unfortunately there wasn't time for everybody. Dear fans out there who could not get their chance: I hope we meet again and we I can draw you next time. Looking forward to repeating with such good clients. It was a pleasure!